I'm going to be honest. The title of this blog is a deliberate rip from a 1997 Spin Magazinse article by Dennis Cooper about the Los Angeles art scene, in particular UCLA art students. Up until then, the Los Angeles art scene was considered provincial-- local artists making local art which meant there was some good art, even more bad art and a lot of risk takers. For the most part, anyone who really wanted to be considered a successful artist fled to New York to work up the gallery food chain. And all of the "better"LA galleries showed work that was "pre-approved" in NYC, almost with a money-back guarantee. Sounds, ridiculous, top LA galleries showing LA artists only AFTER they had been given the NY stamp of approval. Cooper decided to cut to the core of the LA art scene by going directly into UCLA art students' studios, bypassing New York-fed galleries and even local artists. All of sudden, LA art and artists became not just trendy but the trend. Los Angeles was a validated, happening, burgeoning art scene, just about to give New York a run for it's money. Articles started appearing every where about LA and its student artists, like Andrew Hultkran's Artforum piece "Surf and Turf",1998. Not only were readers brought into art students' studios-- collectors came as well, snatching up artwork by students who had never even had a professional show outside the walls of UCLA. And these students became rock star artists overnight. This wasn't new (London + Charles Saatchi + Sensation + Damien Hirst) but it was new to Los Angeles. What's my point? 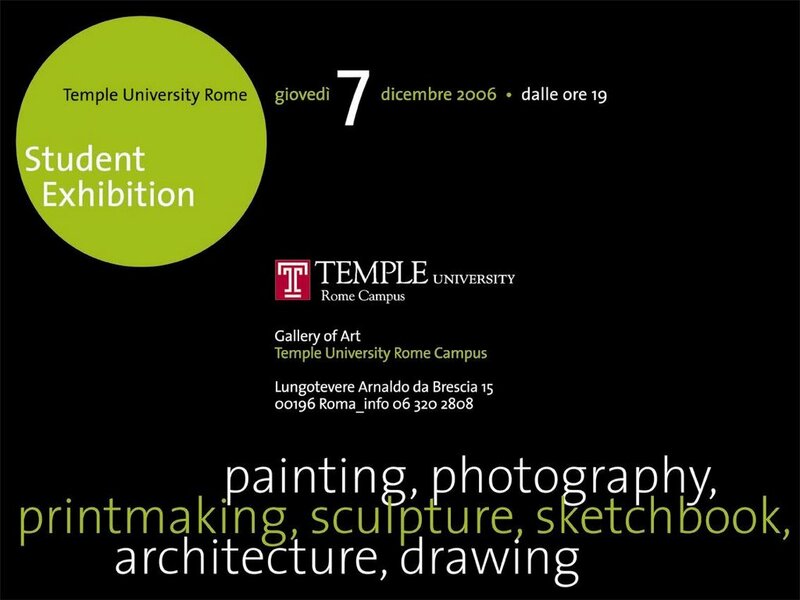 Tonight, Temple University is having its end-of-the-semester Student Exhibition. Pop by for a visit. Who knows? You may want to patron a future rock star.